We offer the Kanga TS in three seat widths: 16", 18" or 20". Select the size that is right for you. 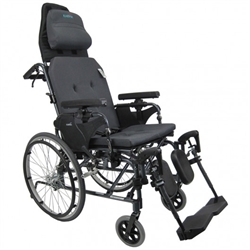 The flip-up armrests are height and angle adjustable and the plastic footrests . Quickie has developed a dramatic new approach to tilting in space. It's called the Quickie IRIS (Intelligent Rotation In Space). Cables always getting in the way? Not a problem with the Quickie IRIS. 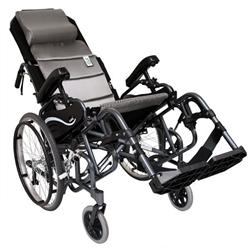 Tilt-in-Space Wheelchairs rotate instead of recline. 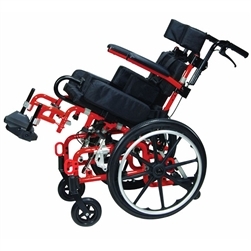 These wheelchairs rotate the seat and sack in place and allows the patient to maintain eye contact with others.